Kale used to be a relatively under-appreciated vegetable, something most people would only eat when smothered in heavy fatty sauces and cooked until it was almost unrecognizable. 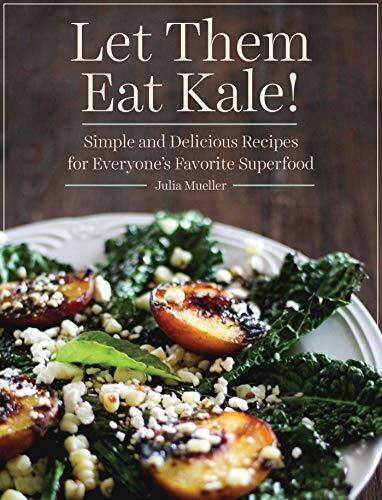 Yet here we are today where it's become so "hip" to be into kale that it's almost become a cliché; it's praised as one of the greatest "superfoods" we can add to our diets because of its high density of nutrients and other health-boosting properties. That said, getting folks to eat kale even though they might know it's good for them can be a bit of a challenge. Its bitter, cabbage-like taste can be off-putting to many and its texture tough and chewy. 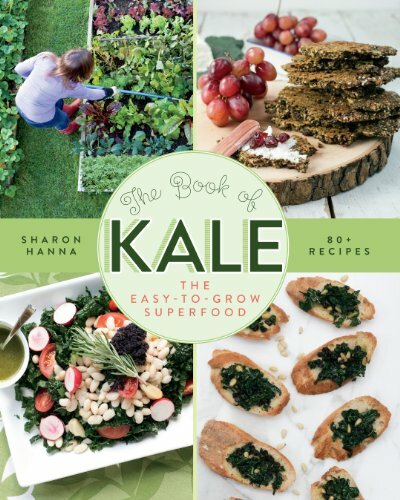 But there are lots of cool things you can do with kale to turn it into a delicious side dish or main meal - you just have to get creative with it! 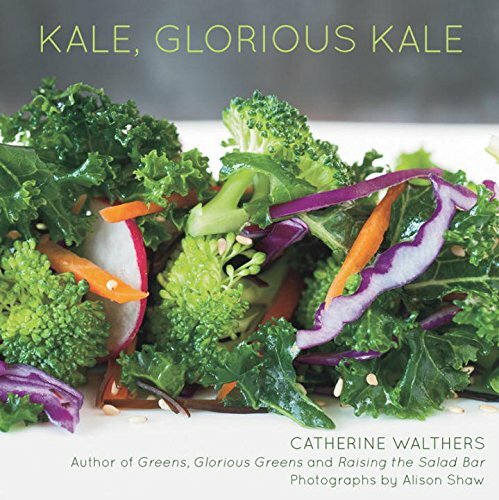 Here I'll share some of my favorite recipes using kale that cover a variety of cuisines, from traditional Southern cooking to exotic Japanese flavors. These are all simple, quick and easy to make, and sure to appeal to the entire family. Why Kale is the Ultimate in "Superfoods"
High iron content - vegetarians are quick to point out that calorie-for-calorie, kale has more iron in it than beef. High fiber content - something we could all use more of in our diets. It's an anti-inflammatory agent - which could make kale beneficial in treating and preventing diseases such as arthritis and heart disease. Vitamins and other beneficial nutrients - kale is very rich in carotene, lutein and zeaxanthin, Vitamins A and C, healthy Omega fats and more. Rich in organosulfurs - kale is a wonderful source for organosulfur compounds, which are reported to be useful in reducing the risk of many cancers, especially colon cancer. Kale: Love It or Leave It? Delicious! And I love that it's so healthy, too. OK. I'll eat it because I know it's good for me but I'm not crazy about it. Nasty! 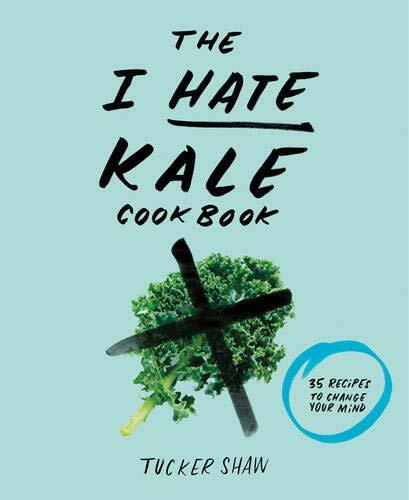 I've yet to encounter a kale recipe that made it taste good to me. This is a wonderful way to enjoy kale - and one that kids should enjoy too given its sweet-and-sour taste combination. Traditionally this technique and salad dressing is used for brussels sprouts, cauliflower or broccoli, but I've found it tastes just as good when used on kale. It's easy and quick, and a great side dish served with teriyaki-style chicken or fish, a grilled steak, or just served hot on a bed of recipe for a vegetarian meal. 1. Wash kale, slice out ribs and hand-tear leaves into medium-sized pieces. 2. 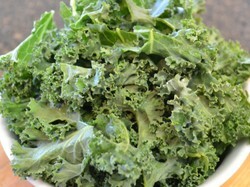 Place kale in a steamer basket, over water on the stove top. Steam kale until tender and a bright green color, about 5 minutes. 3. Meanwhile, heat the vegetable oil in a small skillet over medium heat. Add sesame seeds and cook until just golden brown - do not burn them! As soon as they are starting to brown remove from the heat and set aside, allowing the seeds and oil to cool. 4. Prepare a dressing by combining the soy sauce, sugar and a dash of salt in a large mixing bowl. When cool, mix in the sesame seeds and oil, then add the steamed kale. 5. Mix thoroughly to coat all the kale leaves with the dressing. This salad can either be served immediately for a hot dish, or allowed to cool and marinate in the refrigerator until the next day. Either way it is delicious! This little old cookbook is one of my most precious possessions - and where I got the inspiration for the recipe above (which included a similar salad preparation featuring either broccoli or brussels sprouts). First published in 1969 and long out of print, you can still often find used copies for sale on Amazon - and I would absolutely recommend that you do! I learned to love "eating my vegetables" as a child as my grandmother cooked many recipes from this book for me. 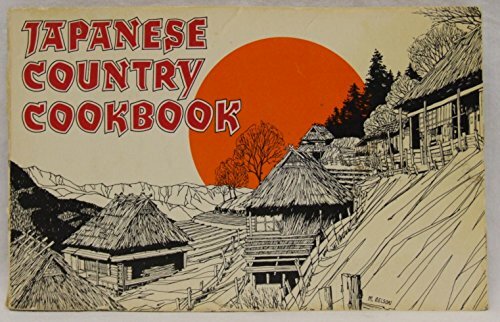 It's a wonderful introduction to traditional, rural Japanese cuisine, very much unlike the fancy Japanese food you get in most restaurants today. For the most part the recipes are very simple and do not require unusual ingredients beyond soy sauce, rice wine vinegar, miso paste and nori seaweed - all items we can easily get in most supermarkets today. Baby kale is starting to appear in the produce sections of our supermarkets amidst the more common salad greens - and of course you can grow it yourself to enjoy. 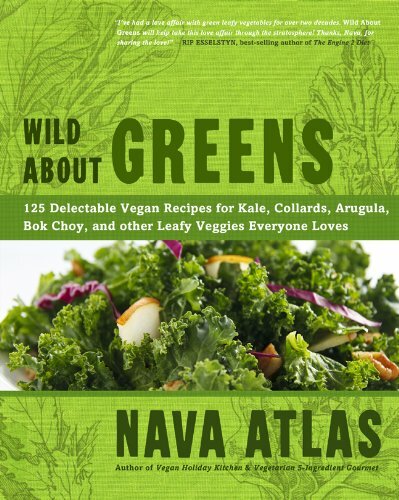 For those who want to go "raw" with kale, these baby greens are the way to go as they are more nutty and less bitter in flavor than fully mature kale leaves. Even so, baby kale by itself can be a bit chewy and coarse as a salad green on its own. I find it best to mix it in with other baby greens, especially arugula, which has a nice peppery flavor that will bring balance to a raw salad. For my Baby Kale and Arugula Salad, I combine a 50/50 mixture of both dark greens, thoroughly washed and dried. I then add in a handful of sliced sun-dried tomatoes packed in oil and very thinly sliced red onion. The dressing is simply extra virgin olive oil, high-quality balsamic vinegar (the real stuff, not a cheap imitation), and fresh ground salt and pepper to taste. Toss it all together in a bowl and then top it with fresh grated Parmesan cheese. This salad goes great as an accompaniment to almost any kind of Italian meal but is especially good with a hearty roast or meat dish - its crisp and clean flavors add a welcome light note to the meal. All right, all right...I can hear the hard-core vegetarians out there screaming as I sully their favorite superfood with their arch nemesis, bacon. But most omnivores appreciate that there are few foods out there which don't taste better when we add a little bacon to them, and kale+bacon is a magic combination that's been popular for ages and a staple of Southern cooking. I'll also mention that the only bacon - and pork in general - that I cook with today comes from my mother's own farm where she pasture-raises hogs that we have privately butchered for us. Pasture-raised pork is not only more humane and ethical but far more nutritious and healthy - even the pork fat, as it is rich in vitamins from the pigs spending their days in sunshine instead of a closed barn. This is a simple recipe which takes very few ingredients - and almost no time at all to cook. 1. Cook bacon in a wok or heavy skillet until beginning to brown and crisp. 2. Add onions and stir fry in the pork fat until softened. 3. Add kale leaves and toss over the heat until wilting and becoming tender, about 3 or 4 minutes. If the pan feels a little dry (depending on how fatty your bacon is), feel free to add in a splash of olive oil. 4. Season the kale with a splash of apple cider vinegar, salt and pepper to taste. Allow flavors to blend and serve immediately. Speaking of kale and bacon—and the idea of mixing it all together with pasta to make meal—here's a great and easy recipe to do just that: Fusilli with Collards, Bacon and Garlic. You can substitute kale for the collards in it and it makes for a very satisfying dinner. 1. Preheat oven to 350F. 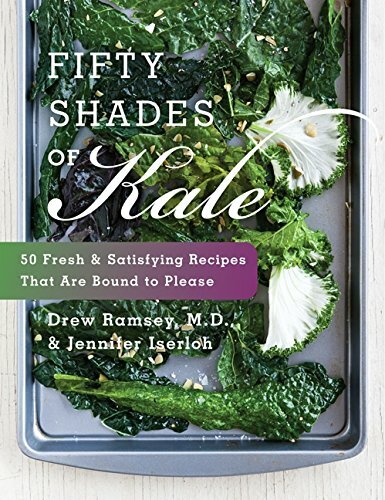 Meanwhile, wash and thoroughly dry your kale, then tear it into large pieces. 2. Line a baking dish with foil or parchment paper. Toss the kale with 1 tablespoon olive oil and 1-2 teaspoons of salt (I like to use an Italian seasoning salt for a little extra flavor). 3. Bake in oven until the kale is crisped and edges are brown but not burnt - about 15 minutes. Enjoy! These make for an excellent party snack as an alternative to heavy, greasy potato chips. Who doesn't love Caesar Salad? Well, why not take it to a whole other healthy and delicious level by making it with kale instead of romaine lettuce - grilled kale, that is? Kale is great on the grill - just brush whole leaves with olive oil and grill for about 2 minutes per side, until bright green and tender. Let the leaves cool and then tear into bite-sized pieces and toss with your favorite Caesar dressing (I use this recipe from epicurious minus the raw garlic), homemade croutons and fresh-grated Parmesan cheese. Served alongside grilled chicken breasts or steak, it's an excellent summer BBQ side dish - or a meal all of its own! I grill my kale indoors on my indoor grill pan - a cooking accessory I believe all home chefs should invest in! Read my article on why. A Hearty Dish from Iron Chef Michael Symon! This recipe is one of my own personal creations, and you can find the instructions on how to make it at my website, South Jersey Foodie. It makes for a wonderful and soothing combination of flavors: spicy chicken sausage, tomatoes, chick peas, zucchini and of course, kale to add a touch of bitter greens. It freezes well, too, so this is a great "make-ahead" soup for those days when you don't have a lot of time to cook but still want to eat healthy. Health-promoting phytonutrients in kale have been gaining attention for their powerful effects in combating cancer as well as their beneficial effects on both heart and eye. 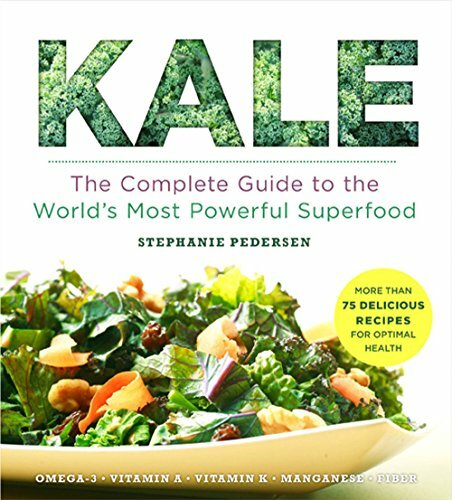 What makes kale so great for you? What's Your Favorite Way to Enjoy Kale? Excellent information you share in this site. Lots of health benefits in this recipes. Thanks for your great efforts. I'm about to be cooking kale. We're getting a weekly produce box this summer, with a fair number of unfamiliar foods in it. A lovely post :) Keep it up. it's really interesting. Awesome recipes, thank you! I am on my way to losing weight and my menu is based on all types of salads and vegetables. Eating salads and some stewed vegetables becomes boring in a week and not to return to fried pupates and cakes I try to search for something new. Previously, I added kale to salads only, but your offer with chicken is exactly what I will try first. Dear admin Thanks For sharing Such a nice recipes of kale and it is favorite one.I am grateful to you for this information. One advantage that kale has over cabbage is that it is less vulnerable to slugs than cabbage and cauliflower are.